An international team of scientists including researchers from Monash University and the ARC Centre of Excellence for Gravitational Wave Discovery (OzGrav) has just released the latest results from the National Science Foundation’s LIGO (Laser Interferometer Gravitational-Wave Observatory) and the European-based Virgo gravitational-wave detector. 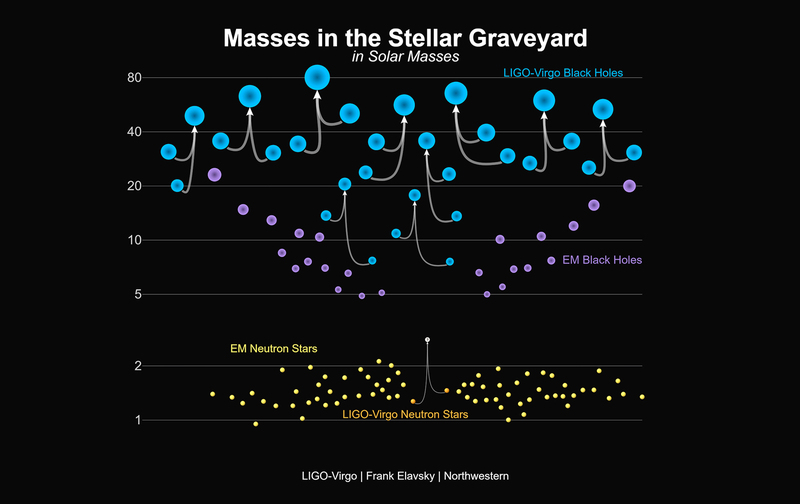 Caption: graphic showing the masses of recently announced gravitational-wave detections and black holes and neutron stars. The data, presented in a series of journal publications published today showcases ripples in spacetime (called gravitational waves) from a total of 10 binary black hole mergers. Six of the black hole merger events had been reported before, while four are newly announced. “We are building up a black hole catalogue,” said Dr Paul Lasky, LIGO member and Senior Lecturer at the Monash School of Physics and Astronomy. “We can use these Gravitational Waves from black holes to learn about all kinds of things, like the fate of massive stars,” said Associate Professor Eric Thrane, a fellow LIGO member from the Monash School of Physics and Astronomy. The new event GW170729, detected in the second observing run on July 29, 2017, is the most massive and distant Gravitational-wave source ever observed. In this coalescence, which happened roughly five billion years ago, an equivalent energy of almost five solar masses was converted into gravitational radiation. Author, PhD candidate Colm Talbot from OzGrav and Monash University, in a separate paper describes how the detection of these new black holes will assist in understanding the Universe’s entire population of black holes. “Each of these black holes formed from huge stars which died in violent explosions called supernovae,” he said. LIGO is funded by NSF and operated by Caltech and MIT, which conceived of LIGO and led the Initial and Advanced LIGO projects. 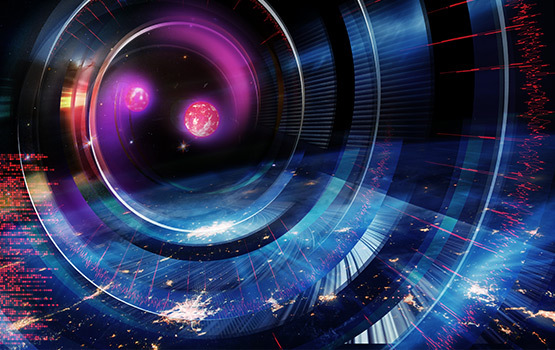 Financial support for the Advanced LIGO project was led by the NSF with Germany (Max Planck Society), the U.K. (Science and Technology Facilities Council) and Australia (Australian Research Council-OzGrav) making significant commitments and contributions to the project. More than 1,200 scientists from around the world participate in the effort through the LIGO Scientific Collaboration, which includes the GEO Collaboration. A list of additional partners is available at http://ligo.org/partners.php.